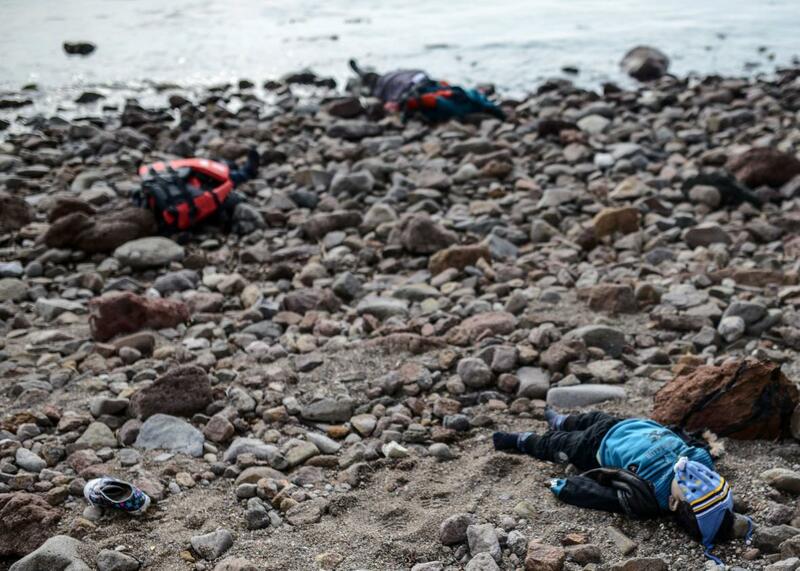 New photos of dead children highlight horror of refugee crisis. 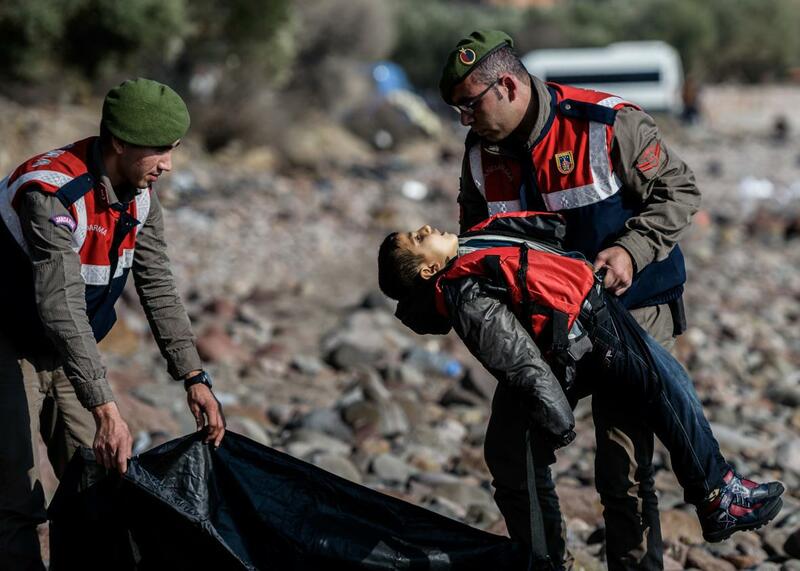 A Turkish gendarme carries the body of a migrant child on beach in Canakkale’s Bademli district on Jan. 30, 2016, after almost 40 migrants drowned when their boat sank in the Aegean Sea while trying to cross from Turkey to Greece. Almost 40 people drowned, and 75 were rescued, when a boat taking migrants to Greece capsized after hitting rocks. Among the dead were at least 10 children and the photographs of their lifeless bodies on the rocky beach once again served as a reminder about the ever-rising death toll of the tragedy that has been engulfing Europe. The photos recalled that of 3-year-old Aylan Kurdi, whose death that was captured on film brought global attention to the crisis. Bodies of migrant children and a woman are washed up on the beach in Canakkale’s Bademli district on Jan. 30, 2016. Although the world does not seem to be as focused on the issue, the number of deaths keeps on increasing. The International Organization for Migration said that until Friday, 218 people had drowned this month in the Aegean Sea as they tried to reach Greek islands. A Human Rights Watch official said that January has been the “deadliest month so far” for the perilous journey between Greece and Turkey. While deaths increase, though, sympathy for the migrants seems to be decreasing. German Chancellor Angela Merkel, once seen as a hero in the crisis for opening her country’s borders to refugees, is under rising pressure to stop the constant flow of people. On Saturday, she told party colleagues that refugees needed to know they would have to eventually go home. “We need … to say to people that this is a temporary residential status and we expect that once there is peace in Syria again, once IS has been defeated in Iraq, that you go back to your home country,” she said. Read more of Slate’s coverage of the European migrant crisis.